Because our customers are our most important assets, providing you with the best customer service and product support is our utmost priority. 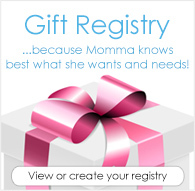 Whether you're a new mom, a seasoned cloth diaper-er, or someone looking to buy a gift, we are committed to making your shopping experience convenient and enjoyable. For fastest service, please contact us by using the form below, making sure to attach any related files, and we will respond promptly. Thank you!